Since 2008, Blue Ocean Strategy Australia was been identifying and creating new mass markets for businesses ranging from start-ups through to Fortune 500 and ASX20 companies, in Australia/NZ, Asia, Europe, the Middle East, the US and Canada. We work with Boards, CEOs, Business Owners, Strategy-Marketing-Sales and Division Leaders, Universities, L&D Managers and other Professional Advisers and Consultants. Our Australian head office is in Melbourne, and we have a network of Qualified Practitioners and Accredited Affiliates around the world. All our adviser have been trained as Blue Ocean Strategy® consultants and coaches and bring other industry and vocational expertise. Blue Ocean Strategy Australia is the Australian affiliate of UCSI Blue Ocean Strategy Consulting, a certified member of the official global Blue Ocean Strategy Community of Practice. Our mission is to create jobs and economic growth, by inspiring, empowering and supporting the growth and transformation of Australian organisations, through the professional application of Blue Ocean Strategy®. The Blue Ocean Strategy book, articles, apps, training materials etc. are protected under the Australian Copyright Act 1968 (as amended). 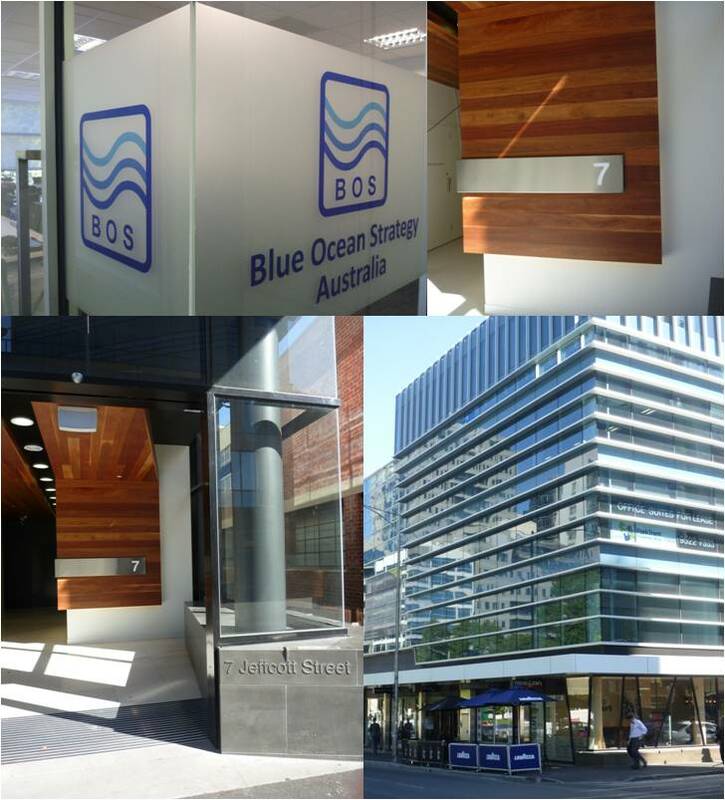 Blue Ocean Strategy® is trademarked in Australia under classes 35 and 41. These trademarks protect goods and services in business management, professional business consultancy, business research, business organisation consultancy, academies [education], arranging and conducting conferences, seminars, symposiums, workshops [training], publication of books and texts, and providing online electronic publications. If you wish to undertake any commercial advisory work in any of these areas please contact us to discuss affiliate arrangements and support.